This is part 2 of a series called "Windows 95 Style Guidelines You've Probably Never Heard Of". A large (and I mean a "this is basically the very reason this exists" sort of large) part of Windows 95 is that it was more file-oriented. Instead of just saying "You get your programs from the start menu. That's it." they actually went ahead and designed the system around the file. The purpose of a computer, more or less, is to read and write content. Why not, they asked, assist the user in that as much as possible. Gone were the days of "Oh dear, which program on my system lets me write letters again?" 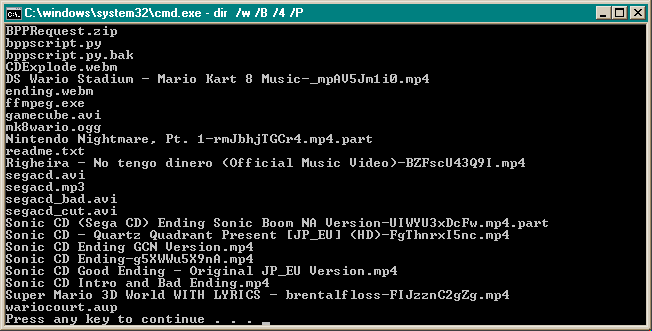 In Windows 95, you made a letter from the file manager, and you edited it. It's a really different way of thinking we don't see too much of in today's world of "There's an app for that" train of thought. Today we're going to talk about the ways Windows 95 attempted to accomplish these goals. For the record, most of these things don't actually exist anymore, obsoleted by time for one reason or another. In Windows (and almost every other modern operating system, for that matter), files are categorized by their file extension. This is the ".xyz" at the end of a filename. It's a holdover from the CPM and MS-DOS days that gives an easy, consistent indicator of what a file contains. You would not, for instance, open a .bmp (bitmap image) in a text editor, but if there were no extensions and everything was sloppily named you'd probably be forced to do that a few times just to figure out what it was you were looking at. It's a computationally cheap and effective solution to the problem. Who needs file extensions anyways? Windows 95 probably takes this one step too far, in my opinion. It just pretends file extensions don't exist. This is fine for simplicity's sake, as most users don't label their real life essays "History of Abraham Lincoln.EnglishEssay". That's just a but weird, and it makes sense to abstract that away. except for two key problems. The first, and probably the most glaring, is that files can be misrepresented as other files. The most obvious case of this are those "PICTURE_FROM_GRANDMA.jpg.exe" viruses, which are programs that have the same icon as a .jpg. This misleads users into thinking the virus is just an image, which is quite bad. Modern versions of Windows thwart these actions with a security prompt, which makes things a little better. The second, less though about issue is the fact that you can have two files of different types with the same name in a folder. This makes things a bit confusing, to say the least. This was most noticeable for years with CD software, which tended to have both a "PROGRAM.EXE" and a "PROGRAM.ICO" in the same folder with the same icon. Needless to say, installing software was quite confusing for a while. A smarter idea, if one wanted to down this route, would be to identify files by "magic numbers", or certain constants at the beginning of a file that specifies the format it's stored in. If you're on Linux or Mac OS X, you can actually try this out by opening the terminal and running the "file" command on whatever you have laying around. It's nice because it doesn't matter what the extenstion is, or if it even has an extenstion. It just works. Of course magic numbers aren't perfect either. It's computationally expensive for one, Instead of just reading the filename from an index, the system has to open up every file and run it through a list of possible magic numbers. Also it wreaks havoc on filetypes that happen to be stored in a common compressed format like a .ZIP (ex: Firefox extensions) as it cannot tell it apart from other files compressed the same way. And, of course, there still is the chance that files will be sneakily misrepresented as other file types. 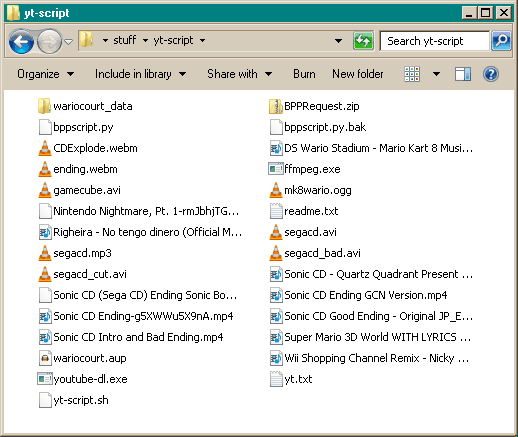 You may or may not know that you can create a file by right clicking on an Explorer window and selecting a filetype under "New". As it turns out these menu items are files in of themselves. (Well, okay, they're actually just defined in the Registry, but they could be files.) They're called Templates. When you open a Template, it creates a new file corresponding with the template type. What's insanely fascinating, though, is that templates accomplish this by launching a program that creates the file. (Of course, that's assuming that's how the programmer set it up. They can also create a blank file, copy an existing file or write some raw bytes. More info on Pg. 201 of the Style Guide if you're interested.) This leads to some neat things being possible like dialog boxes and wizards for creating a file. 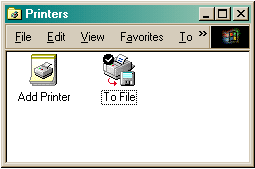 Apart from the aforementioned Right Click>New templates, you're probably going to be familiar with them because that is how you set up a printer in older versions of Windows. As it turns out that "Add New Printer" icon was a template that launched a wizard that created a printer configuration file. I'm honestly surprised I've never heard of these before as they seem insanely useful to throw in the Start Menu or something. I guess it's because Windows never encouraged templates by giving them a place to live besides "Right Click>New" which gets quickly cluttered up with useless stuff (this is mostly because every single registered template is in there by default whether or not it's particularly useful), therefore nobody bothered to make any.
" If the window represents a "tool" application (that is, an application that does not create, load, and save separate data files), insert the small version of the application's icon in its title bar. If the application loads and saves documents or data files, place the icon that represents its document or data file type in the title bar"
If you think about it, it makes a lot of sense. If you're prawling through your taskbar for a document, you're probably not thinking "Okay, where is WordMan 2000? ", you're probably thinking "Okay, where is my letter to Uncle Bob?". Likewise, if you're looking for a calculator for a quick operation, you're not going to want to think "Oh dear, I seem to have misplaced my thermal paper" because you'll be using the result for a grand total of 5 seconds and saving it would be pointless. You're going to think "Okay, where is the calculator? I need the sqaure root of pi." What's bizarre is that Microsoft themselves have seemed to drop this stance. 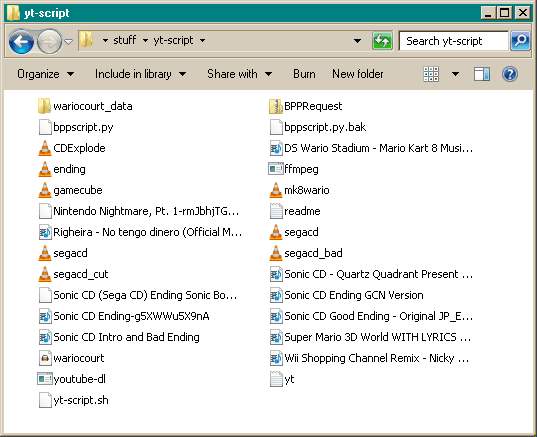 Modern versions of Notepad et. all just show the Notepad program icon instead of the "Text Document" icon. In fact, strangely enough, even Windows 95 applications like Paint broke this style guideline. This means that on the taskbar open documents are represented by the program used to edit it and not the type of document. And with Windows 7+'s dock-like taskbar, you often can't even tell what file is open in those programs unless you hover over the icon. It's interesting to see Microsoft's stance on their stuff change. Here's an idea I came up with. You know templates exist. You know Windows 7 has it's dock-like taskbar you can pin programs too. What if you could pin Templates there too? Then, when you clicked on the template icon, it opened up a new file of that type, in a window represented by (guess what?) the file type's icon! This means that the open files would take up the space occupied by the templates. That's honestly something I'd like to see done, even if it doesn't quite work in practice.